I am delighted that Donegal County Council has chosen “The Chronicles of Iona: Exile” to be the featured novel in its One Book One Community Reading Project for 2013. People in New England, Ireland, Northern Ireland and Scotland will be reading “Exile” at the same time. Here’s an article about the project which appeared in the The Irish Emigrant (1/3/13). We’ll be kicking off the New England arm of the project with an hour presentation by me on Thursday, January 17 at the Irish Cultural Centre of New England, here in Canton, MA. I’ll be talking about the history and landscapes, the folklore and mythology which inspired the series. Please do come, if you can! 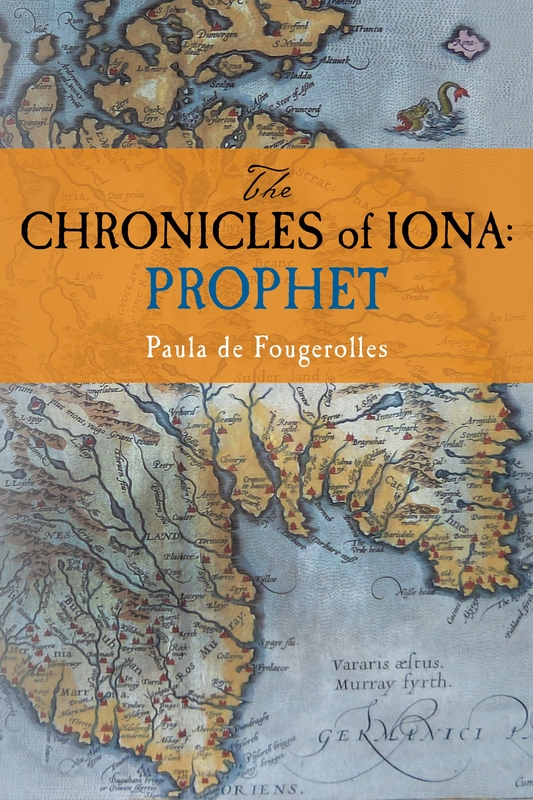 The ICC’s 2013 Author Series kicks off on Thursday, January 17th at 7:30 p.m. as the Centre welcomes author Paula de Fougerolles for her media presentation on the Irish history, Celtic landscape, and Ionian archeology which inspired her to write her historical fiction series The Chronicles of Iona (Careswell Press, 2012). The first book in her series is called Exile and tells the story of how the exiled Irish abbot Columba makes his journey to Iona with a Scottish warlord. The presentation will run for 45 minutes with a question and answer period. Light refreshments will be served. The cost is $10 per person. Copies of Book One: Exile will be available for purchase. This event came about thanks to Ireland’s Mícheál Ó hÉanaigh, Director of Community, Culture and Planning with Donegal County Council, who invited the Irish Cultural Centre to be a partner in the 2013 County Donegal One Book One Community reading event. Ó hÉanaigh was inspired to propose a transnational One Book One Community project after meeting author Paula de Fougerolles of Brookline, Massachusetts in 2012 and reading her novel, Exile. For those new to the concept of One Book One Community, the idea began in major U.S. cities like Chicago and Charlotte when community leaders thought it would be a fun and rewarding activity for folks to have a chance to come together to start conversations about the same book. A title with universal themes about a subject of lasting impact is chosen and promoted to a wide community. The program happens over a period of time through reading groups, author presentations, panel discussions, and special events like film viewings and activities related to the book’s themes. Mary McTigue, ICC Executive Director, is delighted that the Donegal County Council reached out to the Centre. “Having the chance to share this reading experience of such an engrossing tale of Irish adventure through several programs here at the Centre is just the kind of activity we strive to provide,” McTigue say. “It’s fantastic that the author of the book which Donegal County Council selected is right here in our own backyard. Having her come to the Centre to kick off our One Book One Community event means so much to us.” The ICC hopes to create a wide circle of readers who will enjoy coming together in book discussion groups and at special events from January through April to delve into the themes, characters, and history of Ireland. For more information about the January 17th Author Presentation at the Irish Cultural Centre of New England and the One Book One Community project, please visit www.irishculture.org or call 781-821-8291. « “Exile”: one of Kirkus Reviews’ top 100 Indie books of 2012!